Almost everyone is singing paeans about Singapore being a paradise for entrepreneurs and even the World Bank is rating the small island as the best place to start a business. In fact, once an entrepreneur has decided to set up a venture, it takes just 3 days for all the formalities to be completed and get the business going. The Singapore company registration process is a single window clearance process and one of the fastest in the world. Why then isn’t entrepreneurism gaining traction amongst young Singaporeans? It is surprising that only 1 in 8 young Singaporeans imagine that they would set up their own business in the country. Singapore has traditionally been a society where people are ambitious but averse to taking risks. This is because there is a stigma of failure. Hence, people prefer the stability of being of service to others’ ventures rather than putting their own assets at risk to start ventures. There is no doubt that Singaporeans are very hard working as they have proved time and again in helping to create wealth for other entrepreneurs. What this translates to is net capital flows to other countries and pockets; when in fact, the situation can be reversed if only Singapore learns to identify and nurture a wider variety of entrepreneurial activities. It is not that the shortfall in the number of Singapore entrepreneurs has not been felt or realized by the government of Singapore. It was way back in 2003 that Singapore’s Economic Review committee looked into boosting entrepreneurism in Singapore. In 2011, the amount of money disbursed to young citizens to start business ventures amounted to S$320 million. This was disbursed under the aegis of Technology Innovation Program. Another S$130 million was granted by SPRING to small and medium enterprises set up by local people. There are many more schemes initiated by the government to encourage young Singaporeans to come forward to form a Singapore company. The government of Singapore has made available many tools, including several entrepreneurial courses in Singapore colleges and universities to boost entrepreneurial knowledge at very nominal fees. 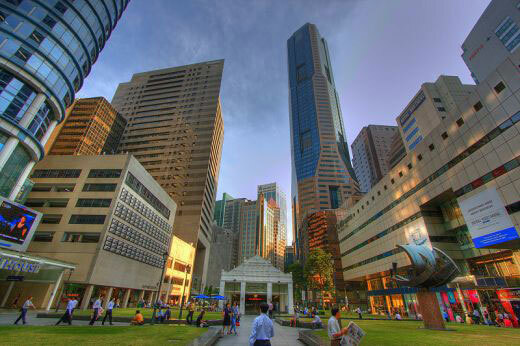 In a recent survey, 89% of the Singaporeans said that they believe their country the best place for entrepreneurs. The reason for the shortfall of entrepreneurs perhaps lies not in the shortage of funds but rather the sectors of the economy that are being encouraged. It seems that most of the young entrepreneurs like to set up ventures in technology and software based industries. Perhaps the target sectors of the economy need to be broadened to encourage citizens to organically come up with innovative ideas and set up diverse types of businesses that enrich and add color to the economy. Want to know how to incorporate a company in Singapore? Choose from our Singapore company registration package options and we will guide you to incorporate your company in Singapore.